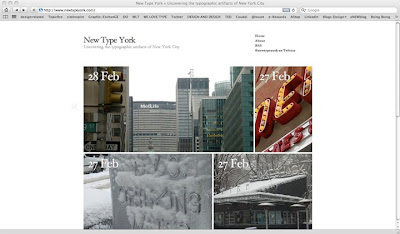 James Patrick Gibson has started a new photo type blog called New Type York. James snaps images of found type on the streets of New York City and makes daily post of these images. You will find great images for inspiration and happening in NYC. Great job on the blog James. I am looking forward to many more images to come in the future. Just add Corned Beef and Rye, mmmm! Many would say this sign is correct, Men are Handicapped, at least mentally or socially. There are days I know I feel like I am. Looking at the clouds and imagining. Look to Thirty Conversations on Design for video insights by use guessed it, thirty designers. Posed with two questions; What single example of design inspires you? and What problem should design solve next? each designer answered in a short video. 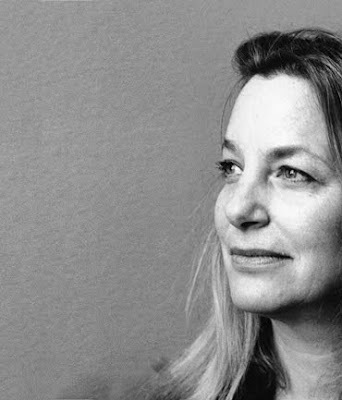 The designers include the likes of Debbie Millman, Chip Kidd, Massimo Vignelli, Paula Scher, Ellen Lupton, Ed Fella and 25 more. 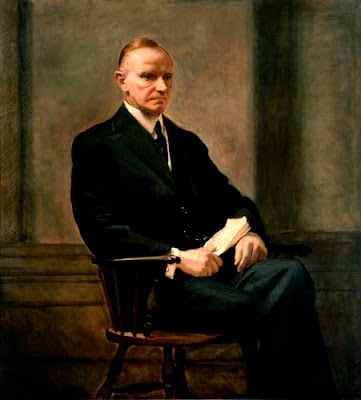 The answers are very interesting and give us all a better picture of design and designers. Go to Thirty Conversations on Design and see all the videos and answers to these two questions. A clown advertising for a $5 hair cut. I wonder if the rainbow hair coloring will be extra? 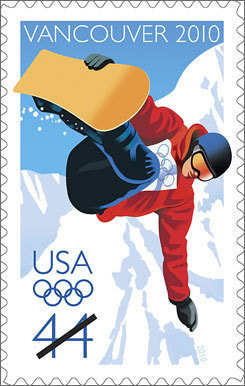 Stamps have always be a popular way to communicate a special event such as the Olympics. 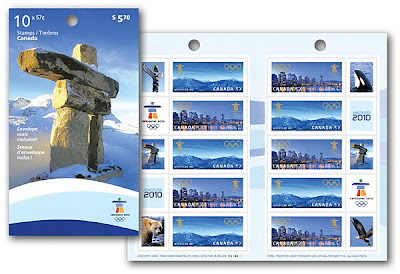 The Olympics are one of those events that the world takes in and participants in every few years. 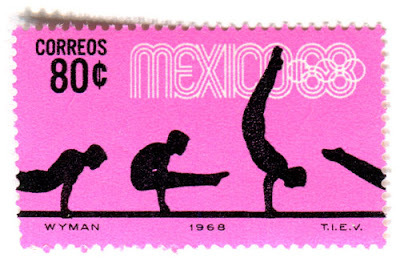 The design of Olympic stamps are as varied as the countries and athletics. 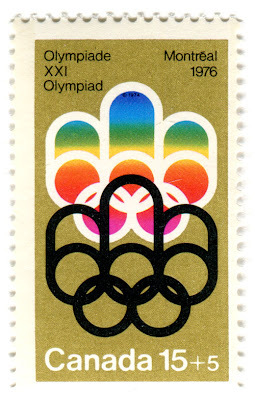 Take a few moments a enjoy a nice collection of vintage Olympic Stamps at this link. Dr. Brian Novak, DMD. A caring, gentle, and profession dentist located in Whittier, CA. 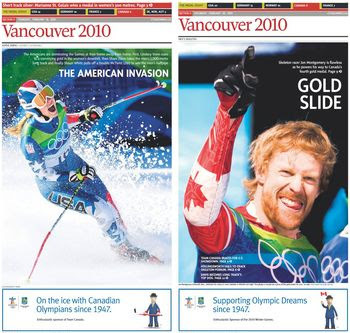 With Olympic Fever running high, I came across this blog SportDesigner.com. 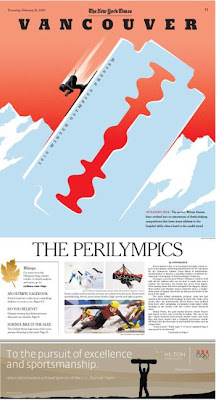 This site is dedicated to the design that goes into sport pages around the world from graphics to photography. 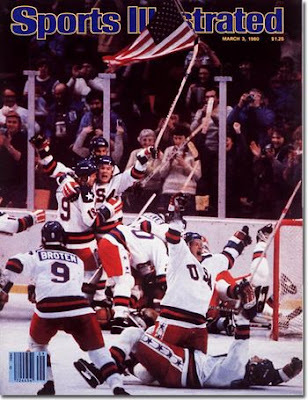 The site has focuses on the great design that comes about from great sport. 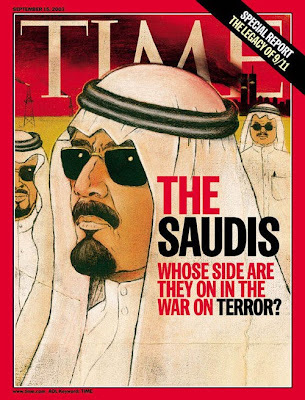 Currently, the site is authored by Boudet (The Seattle Times) and Josh Crutchmer (The Chicago Tribune). Wonderful layout, informational graphics and photography cascade down the pages of the website. 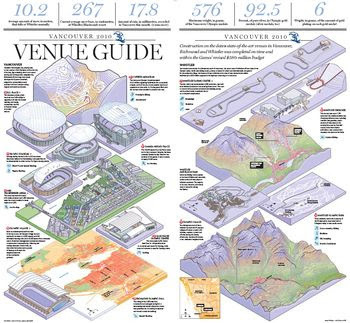 There is plenty to explore and discover about the world of graphical sport design. Play ball and see what happening now in the world of sports and graphics at SportDesigner.com. Serving the city of La Habra Heights, CA - Engine 71. 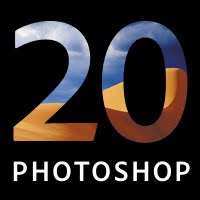 This past week PhotoShop turned 20. 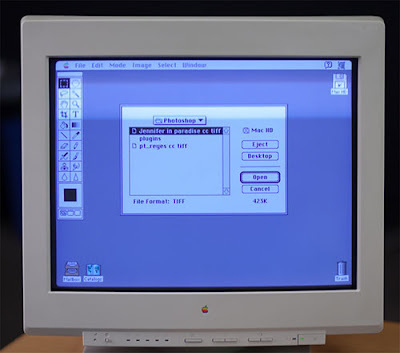 It was twenty years ago that two brothers, Thomas and John Knoll's photo imaging program was released by Adobe and changed graphic design forever. I can still remember when PhotoShop added layers to the program with PS3 and how glorious it was to my work flow. Over the years, PS has added many new features and ways to work including the web. Here is to many more years of PS and the pleasure of working with such a wonderful and powerful program. Mike Tracy; friend, artist, educator, opening a solo show tomorrow at the Haus in Pasadena. From back to front the principles of great design can be seen in the Mini. I was recently contacted by Charlotte, NC artist Karen O'Leary who has created a new way for us to view the beauty of the city. 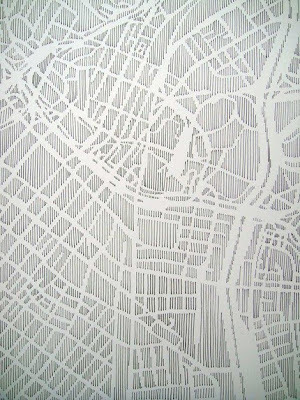 Karen's work consist of reworking maps into works of art. 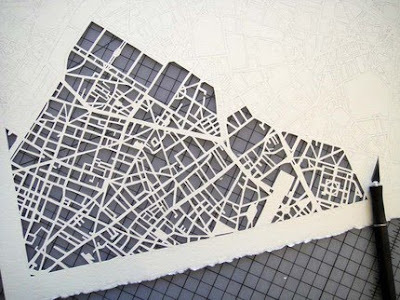 You may have seen the cut out maps that she created for New York City and many others which are amazing. I am an architectural designer with an interest in all aspects of design. 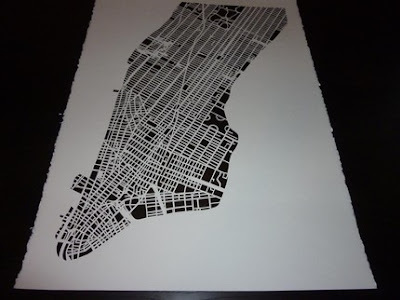 The New York City Map Cuts was my first large art piece. It was created to simplify the daily image of the Manhattan map that every New Yorker sees repetitively throughout any day. 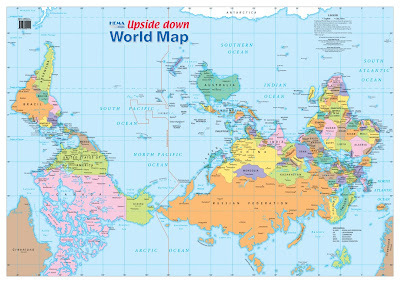 By simplifying the map into just an image it revealed much more information than a map crowded with words and symbols and color ever could. The information of city planning, the nature of the city block, and the importance of open space is greatly emphasized in my map cuts, especially the images in white. I love the idea of making a familiar object/image even more beautiful by simply taking away the unnecessary. In my newer pieces, I have deconstructed the elements of a city. 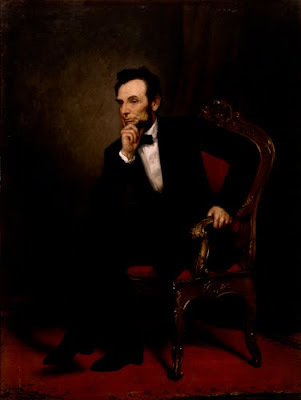 By working directly with a given map, new information is found in a similar and different way than with the New York City piece. 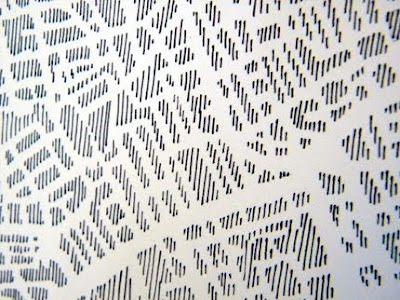 The folded map is given new character and made into a piece of artwork simply by eliminated the blocks, parks, and usually a body of water. This sharp contrast between the void and solid creates a beautiful image. To me, the main paths, boulevards and nodes of a city are revealed with a stronger sense of identity in these maps. I also especially enjoy the strength that such a delicate piece of paper can hold, it reminds me of myself. 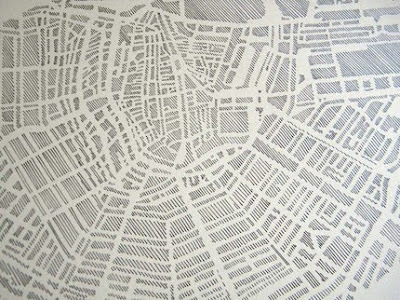 Her newest works include pen and ink drawing of city maps for nyc, paris, london, melbourne, vancouver, prague, amsterdam, dublin, boston, d.c., san franciso, chicago, and philadelphia. My second series of work is the pen and paper series, which I just adore. I just love the graphic image that the city of Paris lends, so I've taken this image that is so uniquely Paris and I've created it simply with a set of thin vertical lines. It's amazing what a 0.25 mm of a line can create. In the Manhattan, in pen and paper piece, I've extended this concept to further show the "lines" that define a neighborhood. How the city planning and natural boundaries of a city can turn slight differences into a defined or undefined neighborhood. 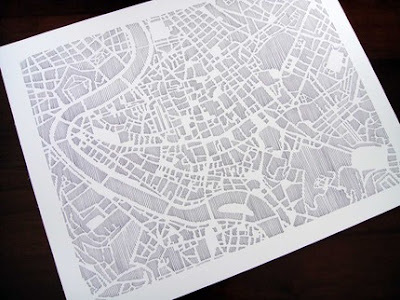 Karen O'Leary has a shop studiokmo at Etsy where you can view more of her amazing maps and purchase one. The Goodyear Blimp in Carson, CA from the 405 during a LA rush hour. I just love blimps. My dear friend, Mike Tracy has a solo show coming up in Pasadena. Mike will be showing paintings from his series on toys that have become popular to all who love art. The series consist of paintings of small windup toys full of bright colors, bold lines and artist passion. 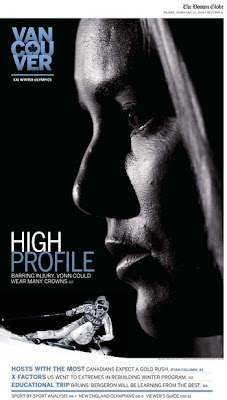 This solo show will be presented at the Haus Gallery from February 25th through March 20th. A Preview Reception will be held this Sunday, February 21st from 4 to 7. 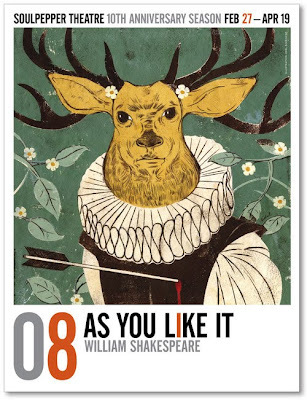 To view examples from this series and Mike Tracy's other wonderful work, visit his website. Looking at the world in a different way is what we as designers are asked to do daily. One way to help in your creative process is to turn it upside down. When you review a project by looking at it in this way you start to see it different. Your type becomes more like a shape, your hierarchy become more noticeable, and the project elements come into a new focus by simply turning it upside down. Give it a try and see your work in a new manner to help your creative process. Yesterday I had to drop off a family member at LAX and snapped this image with my iphone. I was inspired to start taking little shots on the iphone from my blogger friend Anne Ditmeyer who runs the fabulous PRÊT À VOYAGER blog. Thanks Anne for the inspiration and congratulations again for winning my first "Best iPhone Photos Award for 2009". Once I get that certificate designed I will send it along. The works of Edel Rodriguez have covered your magazines many times and now you can view his work at an upcoming show here in Los Angeles at the Nucleus Gallery. 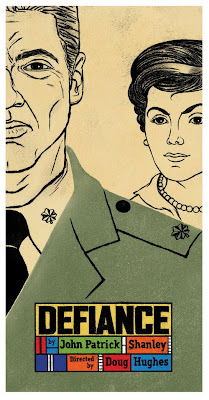 Edel Rodriguez has illustrated for many of the leading publications including TIME, The New York Times, and Communication Arts. His work is invigorated with bold lines and color from influences of growing up in Havana, Cuba. Rogriquez's designs and illustrations are fresh and a stimulant for the mind. Edel Rodriguez will be showing a selection of recent paintings and drawings. Influenced by the colors and sounds of a childhood in Cuba, Rodriguez's work is infused with narratives and myths that deal with personal history and cultural displacement. Hailing from Havana, Cuba, he utilizes different mediums to execute a broad range of styles in his art, garnering a Silver and Gold Medal from the Society of Illustrators for his editorial illustrations, which consists mainly of conceptual pieces and portraits. 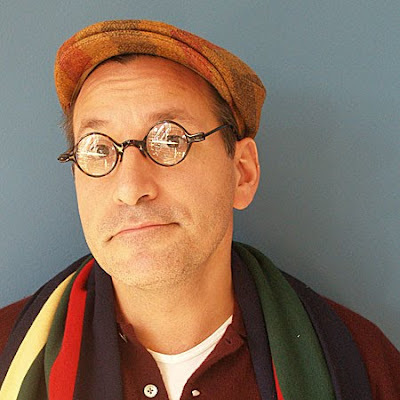 Rodriguez has illustrated several children's books, and his art is featured regularly in a variety of art journals and magazines, such as American Illustration and Communication Art. 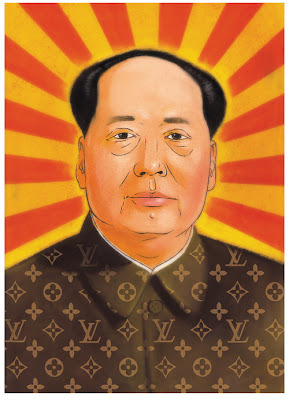 His commissioned work is often relevant to mainstream culture, and clients include The New York Times, MTV, Vibe Magazine, Rolling Stone, and Los Angeles Times. Featured image has been chosen as the cover for the Society of Illustrators' new "Illustrators 51" book featuring over 300 of today's top illustrators. This looks like a show that should not be missed for inspiration. 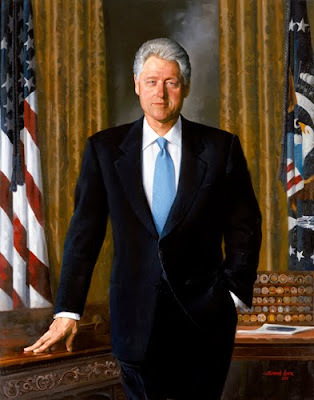 A great resource for images of the presidents and their lives can be found at the White House Historical Association. 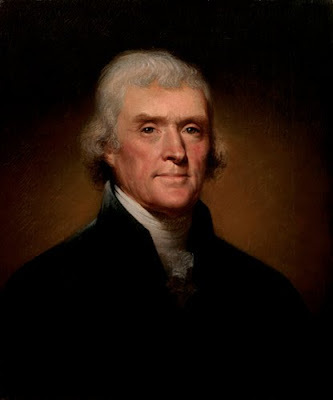 This collection includes portraits, photos, and artifacts from each of our presidents of the United States. 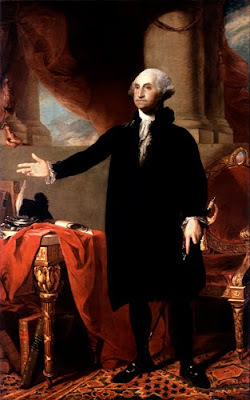 To view more go to this link and enjoy President's Day. 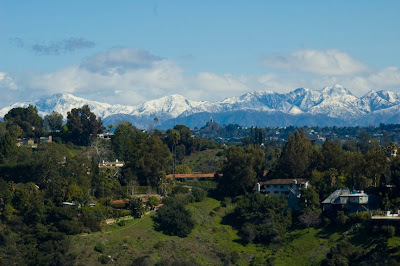 I was able to photograph the mountains surrounding Los Angeles this week which are full of snow. Living in LA is strange, it is 70 and we can look up to see these beautiful mountains full of snow and get a taste of winter, "LA Style".